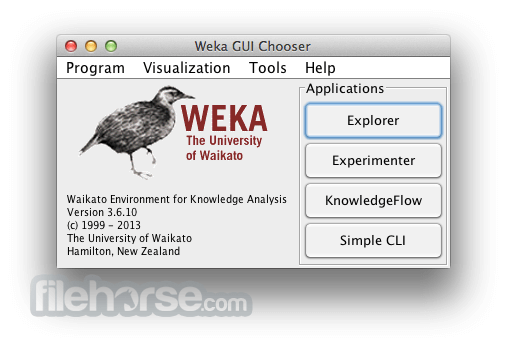 Weka for Mac (Waikato Environment for Knowledge Analysis) is a popular suite of machine learning software written in Java. 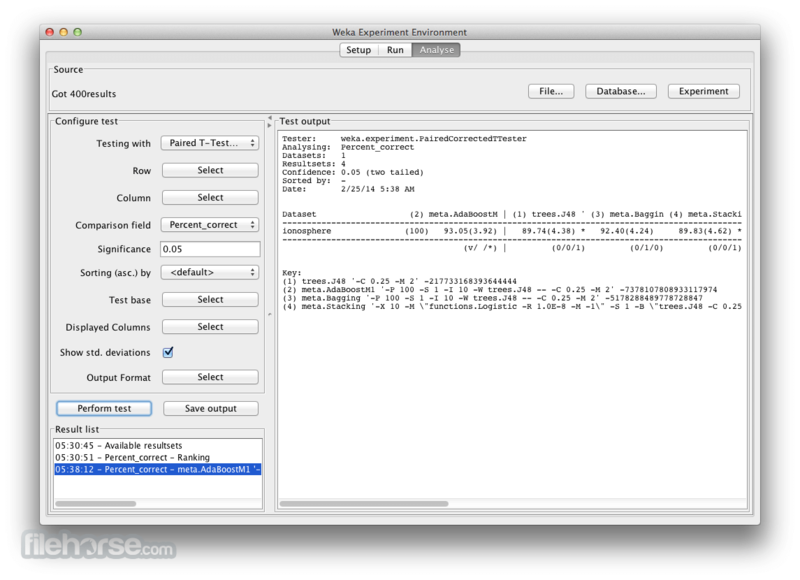 Weka is a collection of machine learning algorithms for data mining tasks. The algorithms can either be applied directly to a dataset or called from your own Java code. 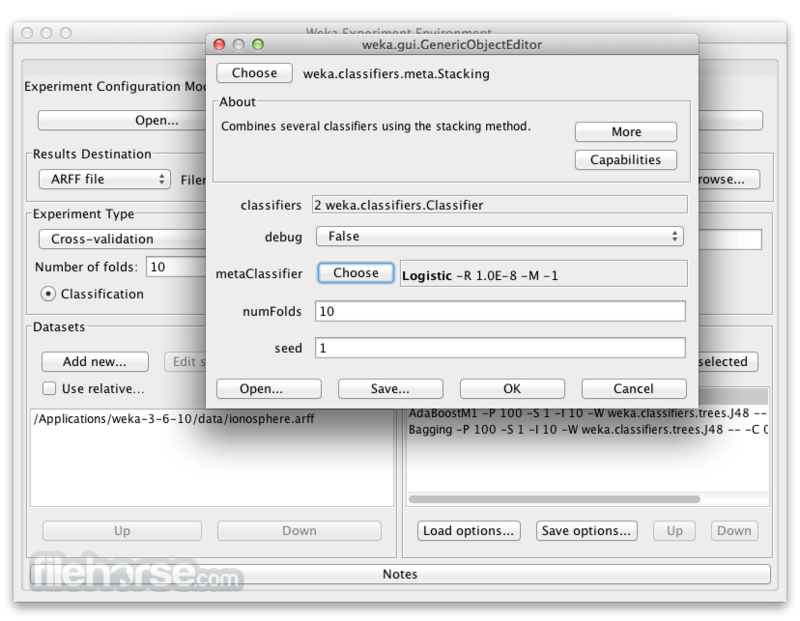 Weka contains tools for data pre-processing, classification, regression, clustering, association rules, and visualization. It is also well-suited for developing new machine learning schemes. 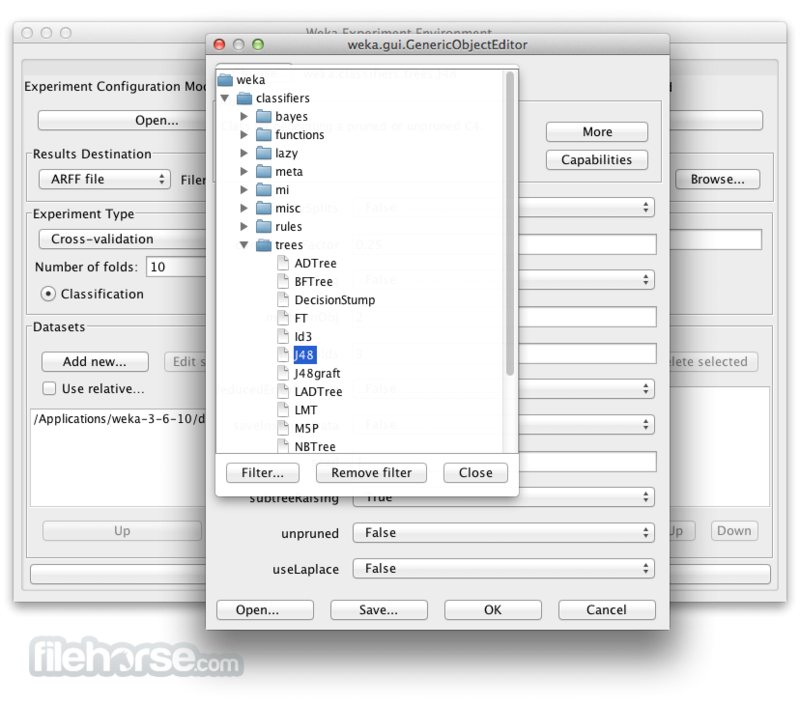 Weka for Mac is open source software issued under the GNU General Public License.